Leica RTC360 - Print-O-Stat, Inc. The Leica RTC360 3D Reality Capture Solution empowers users to document and capture their environments in 3D, improving efficiency and productivity in the field and in the office through fast, simple to use, accurate and portable hardware and software. 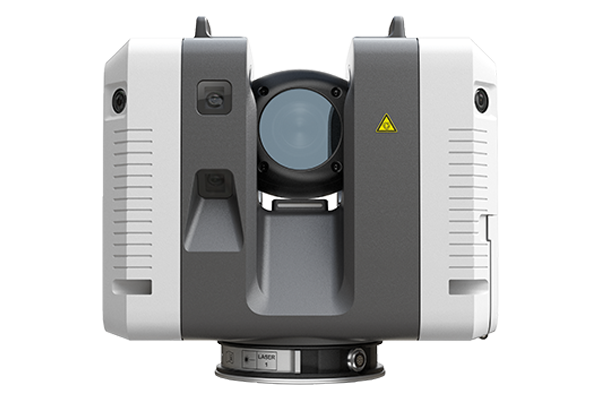 Leica RTC360 3D laser scanner is Leica Geosystems’ first mid-sized laser scanner to enter the laser scanning market. The Leica RTC360 3D Reality Capture Solution is an extremely fast, rich data capture solution that reduces complexity of field and office work so professionals new to laser scanning can efficiently collect data and transform it into reality models. High-performance, medium-sized and light 3D laser scanner for the reality capture of 3D point clouds, bundling automatic cleaning with registration. Field data collection software running on standard consumer tablets and smartphones, enabling direct quality control in the field (Leica Cyclone FIELD 360). Office data preparation software that turns field data into georeferenced and quality controlled merged digital reality data (Leica Cyclone REGISTER 360). Such data is immediately available for consumption in Leica Geosystems Software (CloudWorx, Cyclone MODEL, SURVEY and Cyclone Cloud Services), JetStream-powered Hexagon software (e.g. 3DReshaper, IMS Map360 or PPM Smart3D) or third-party products.